This map is a real obstacle course and parkour is not the only test that you need to go through there. 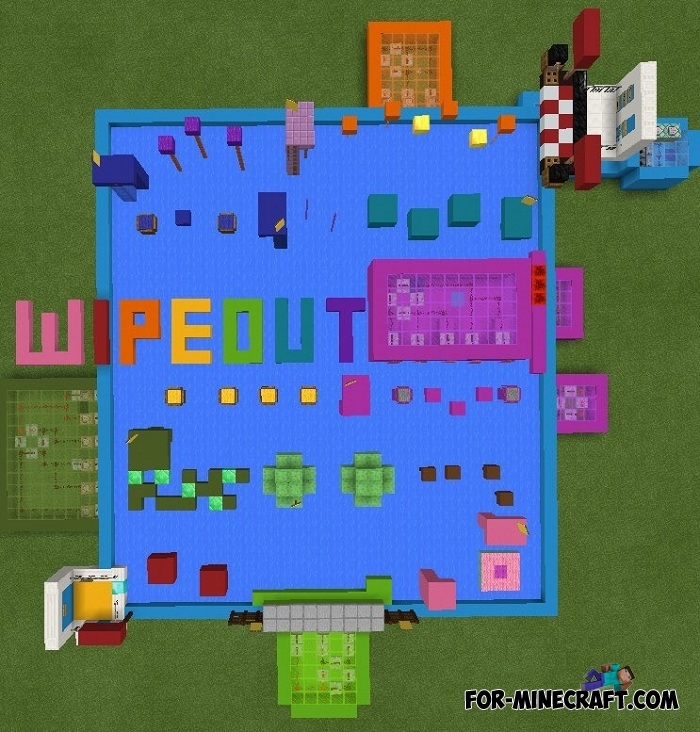 Colored Wipeout is made in the form of a square, inside which is the parkour track. Thanks to the elevations and the fact that there are no walls you can carefully consider the whole way to the finish. The passage time takes no more than 20 minutes if you are not so experienced in this genre. Multiplayer is open, there is no ban on adding other players, just do not bother other game players and do not break the obstacles. 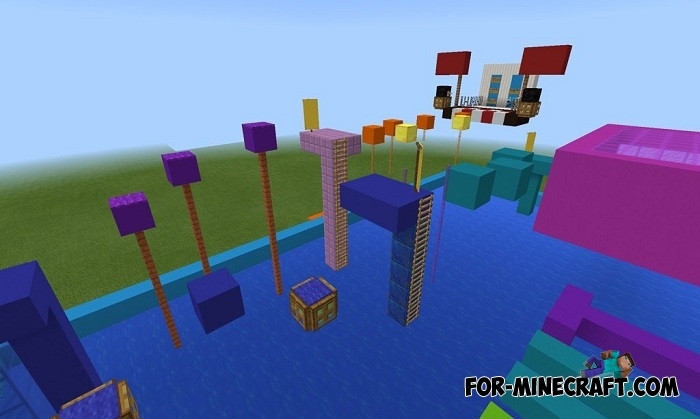 Wipeout Parkour (Minecraft PE 1.2)This map will make you the main participant in the game of survival Wipeout. There is only one right way and there are no rules..